Fassinating Fassbender - A Michael Fassbender Fan Blog: It's Golden Globes Day!!! 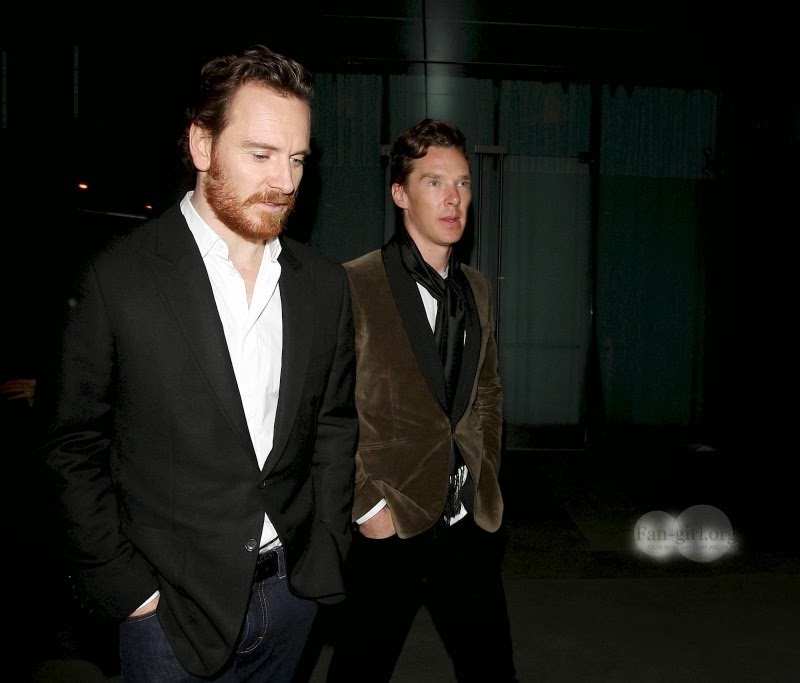 Michael and Benedict Cumberbatch both looking fantastic as they head to the Soho Club in LA. I'm happy to see a lot of interest in participating in the Golden Globes chat later on this evening in support of Michael Fassbender and the director/cast of 12 Years a Slave. Several history making opportunities exist and I believe this is going to be a fun and historical GG ceremony. The link to the chat room is here - and I will be there as early as 6:30pm EST to get a spot. This post will remain on top throughout the day, however, red carpet updates will be posted just below..